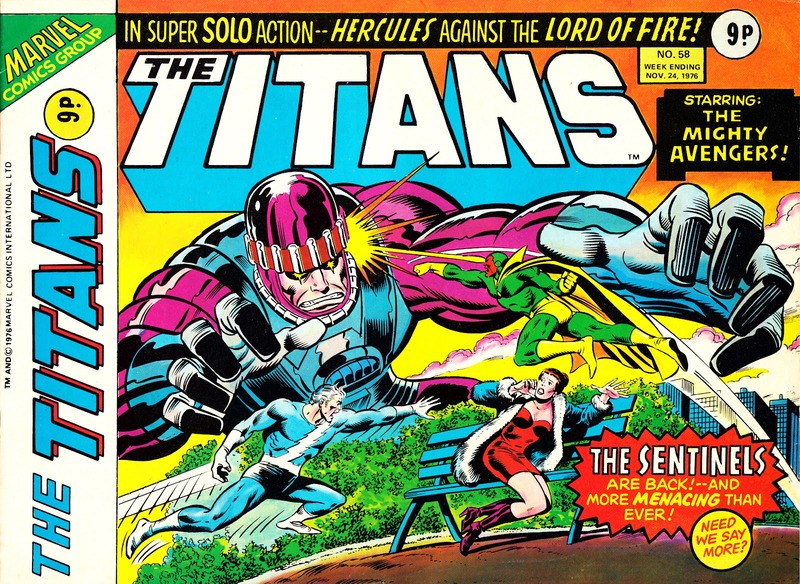 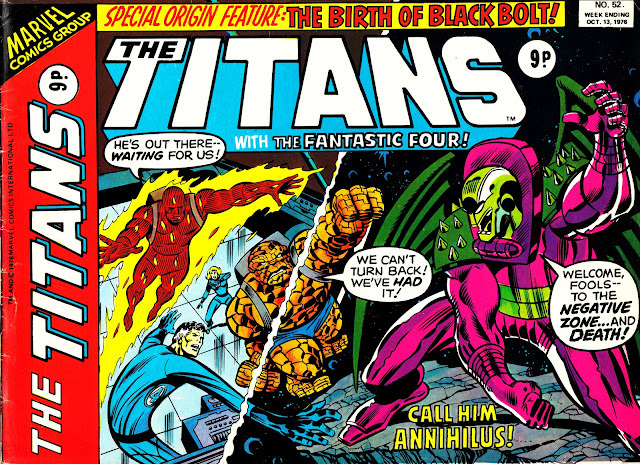 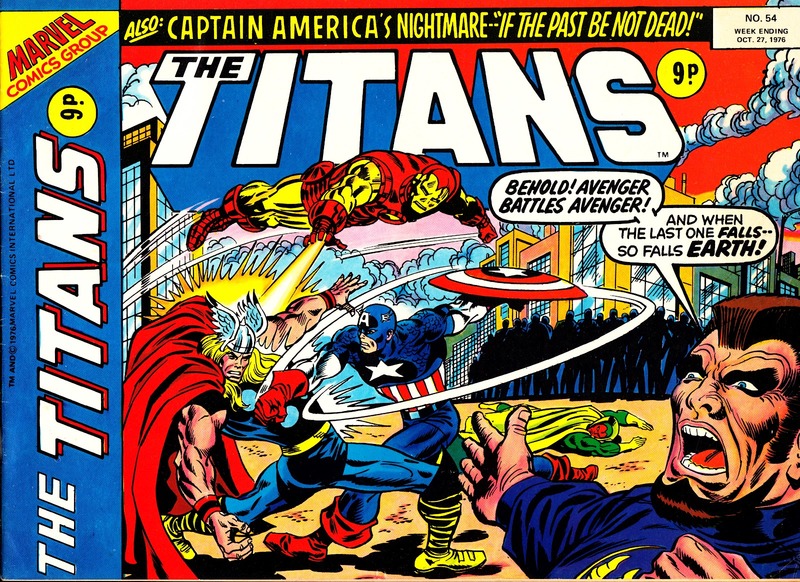 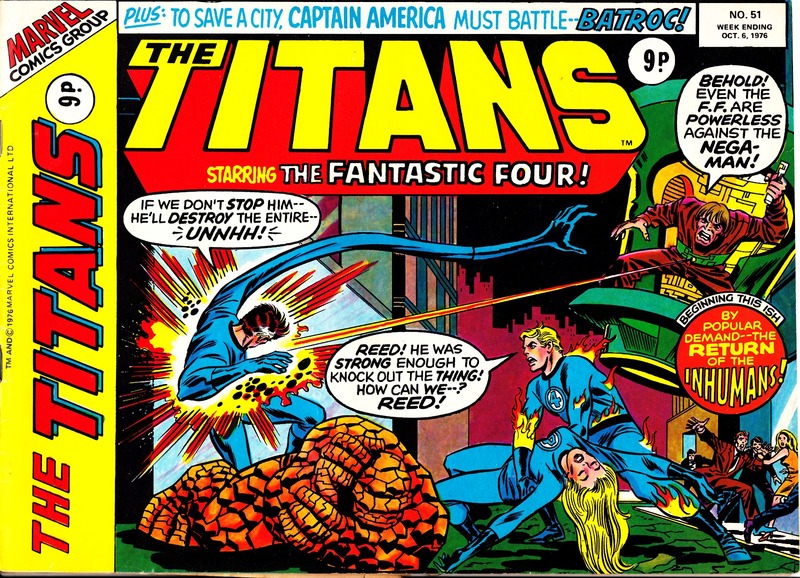 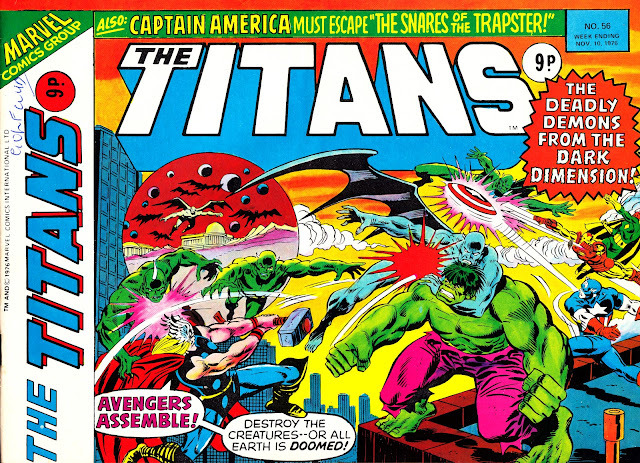 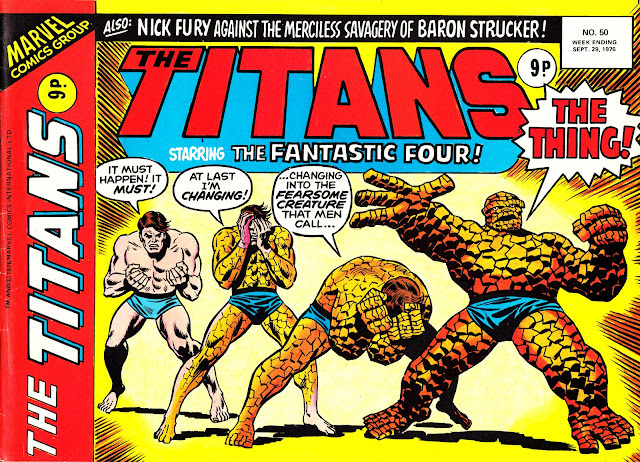 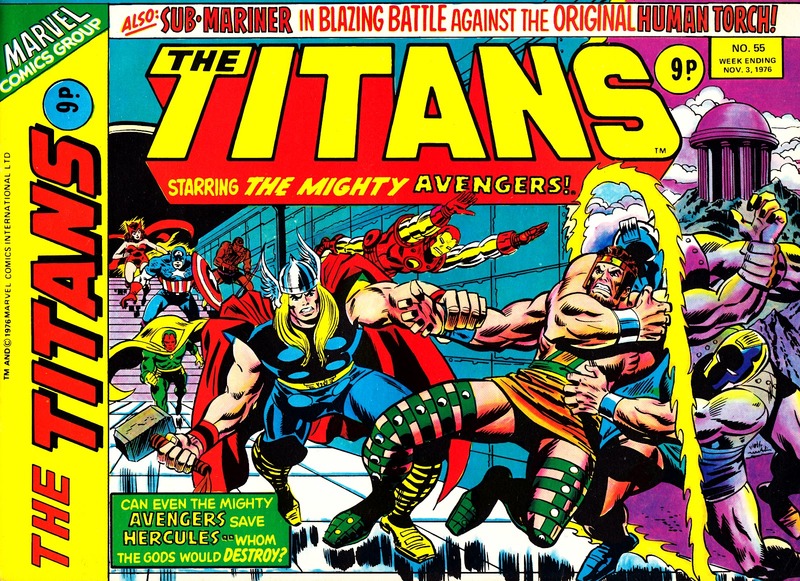 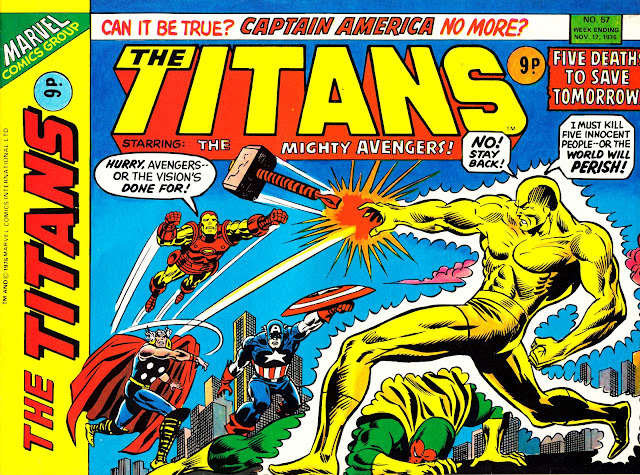 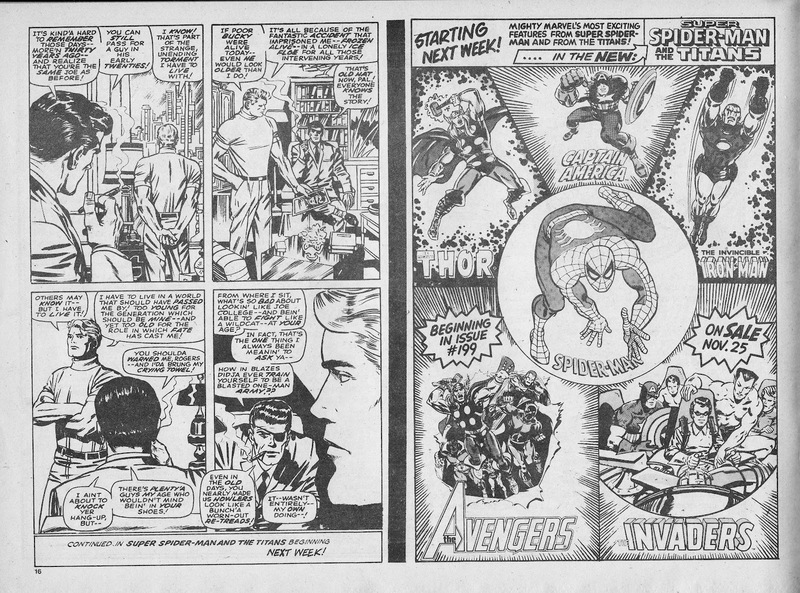 Here it is true believers... the third (and final) chunk of covers from Marvel UK's 1975-76 experiment: THE TITANS. The axe fell, according to seventies fanzine BEM, because the split-page landscape format devoured reprints too quickly. Something that surely must have occurred to Marvel's masterminds when they conceived the idea (and then extended it to SPIDER-MAN). 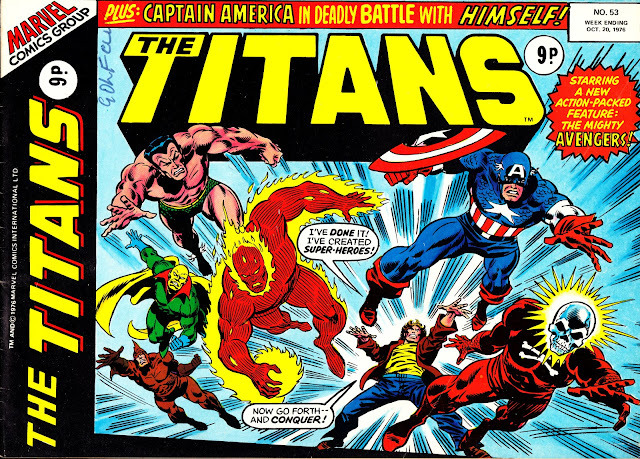 Talking of Spider-man, Titans merged with its stablemate to form SPIDER-MAN AND THE TITANS. For a while at least.